SAO PAULO — Often reticent to become embroiled in Brazilian politics, soccer players are making rare interventions as a far-right candidate's presidential campaign polarizes the country. Felipe Melo, a fiery former Juventus midfielder who is back in Sao Paulo playing for Palmeiras, has been openly campaigning for Jair Bolsonaro ahead of the October election. A former army captain, Bolsonaro has taken the lead in the polls after appealing to concerns about public security, religious conservativism, homophobia and anti-left politics. Just a month before the elections, Bolsonaro was stabbed while campaigning on Sept. 6. His attacker claimed to be upset about racial slurs made by the candidate and was "sent by God" to attack Bolsonaro. 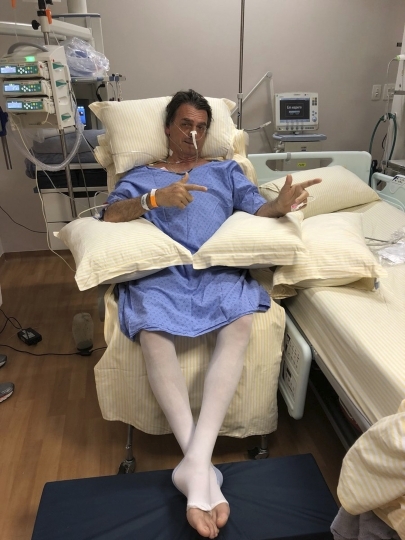 After undergoing two surgeries, Bolsonaro is recovering at a hospital in Sao Paulo, but he can rely on soccer players to promote his platform. Melo, who played at the 2010 World Cup for Brazil, posted a video online this week wishing Bolsonaro a speedy recovery. Another message was sent on social media to Lucas Moura after the winger, who plays in the English Premier League for Tottenham, was met with praise — and criticism — for endorsing Bolsonaro. "Good one, Lucas," Melo wrote. "Let's go Bolsonaro, it doesn't matter what they say." The backlash is not deterring other stars of the national sport from voicing support. Bolsonaro's list of backers also features 2002 World Cup winner Cafu and Corinthians midfielder Jadson. But they are facing resistance from players they have previously shared a field with. Elias, a midfielder at Belo Horizonte club Atletico Mineiro, said he would never vote for the far-right candidate, but argued footballers have to be more tolerant with those who will. "I don't vote for Bolsonaro, but we have to tolerate who do," Elias said. "That tolerance is also in a low in soccer." Brazil and Lyon midfielder Juninho has entered into several spats with Bolsonaro's supporters on Twitter. "I didn't know Bolsonaro voters followed me," Juninho said. "Please, don't. I don't want a high number of followers, I want those that are human beings of character." 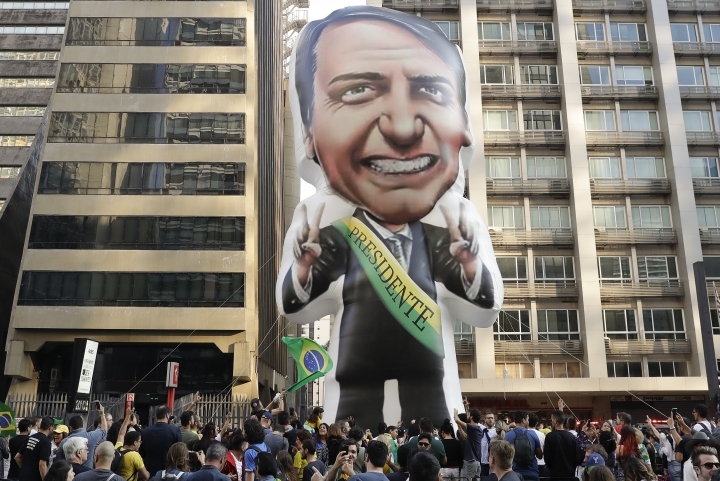 One month before the vote, it is still unclear whether footballers that dislike Bolsonaro are convincing their teammates the candidate is not a good option. Walter Casagrande, a European Cup winner with Porto in 1987 who is now a pundit on Brazilian TV, had to change his phone number after criticizing players who would not explain in detail why they endorsed Bolsonaro. "We live in a democracy and everyone has the right to their opinions. But they have to know what they are talking about," Casagrande said. "They can endorse any candidate, but once they go public they have to tell why. It is not enough to say 'I endorse this guy.' As soccer heroes they influence a lot of people." The world's most expensive footballer was busy playing for Brazil for the first time since the World Cup. Neymar was handed the captaincy by Brazil coach Tite for matches against the United States and El Salvador, but his conduct on the field remains divisive. Just like at the World Cup, where Brazil was eliminated in the quarterfinals, a dive by Neymar has prompted criticism. The booking in the 2-0 win against the U.S. could be a wake-up call for Neymar to cut out the theatrics. Brazil had a scoring rival during the international break. 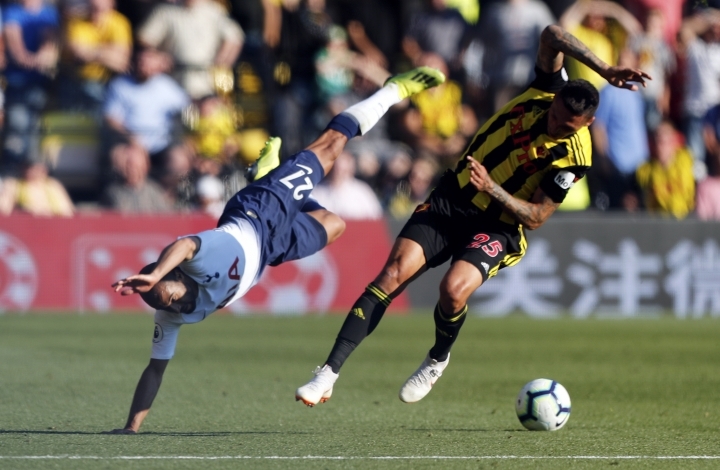 Richarlison of English side Everton also scored twice wearing the No. 9 jersey. Barcelona's Arthur impressed as a playmaker and Eder Militao was robust in central defense as Brazil scored six and conceded no goals in the two friendlies. "One of the best things I saw is the return of a team that plays with joy," Tite said after the 4-0 win against El Salvador in Washington D.C. "We were aggressive and created opportunities, regardless of the opponent's form. This team has a goal-scoring DNA." Argentina played without a No. 10 in a 3-0 victory over Guatemala and a 0-0 draw with Colombia because Lionel Messi opted against linking up with the squad. It's unclear if the 31-year-old, five-time world player of the year will retire from international duty. Argentina's next game is in October against Brazil in Saudi Arabia.